Tyra Wright had had enough. Enough of the mental and emotional abuse from her partner. Enough of not having the money to pursue her dreams of a college education and a better life for herself and her daughter. Enough of the physical abuse when she became pregnant with her second child. So one day, Tyra simply told herself: Enough. She knew if she didn’t stop the cycle, eventually the abuse would happen again. “I knew that wasn’t the life I needed to live,” says the Philadelphia, Pennsylvania, resident. Tyra was awarded $300 through Soroptimist's Live Your Dream Award. Mustering her courage, she removed the offending man from her home with an Order of Protection. No longer able to afford to stay in her own house, Tyra moved herself and her family in with her mother. 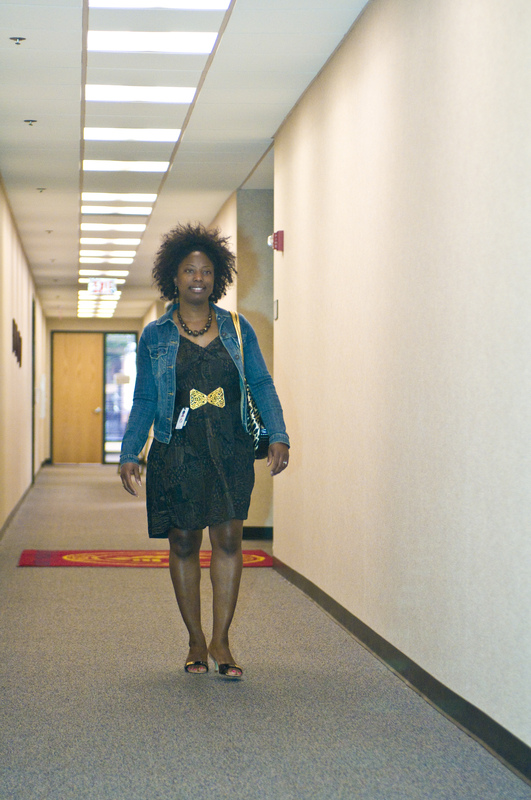 Then she took another positive step: She enrolled at the University of Phoenix in the Philadelphia area with the aim of earning a bachelor’s degree in business administration. Tyra received the award from the SI/Five Points Magneta club in Philadelphia in 2002, attending the ceremony at the home of Wanda Price, immediate past governor of the North Atlantic Region and membership chair for the region. The club members go out in the community and help women and give them a sense of belonging and assurance. I love that. It’s awesome to be around the most positive women I’ve ever met or seen. It’s such a joy. After winning the award, Tyra went on to start her own nonprofit for the prevention and awareness of domestic violence. The Award allowed me to work with women and gain their lives back with independence and self-sufficiency. This is the greatest feeling in the world. It means the world to me that we are all in this together.